Khndzoresk offers the most spectacular view of ancient Armenia, where cave-dwellers resided in the hollows of the scores of majestic mountains, cultivating the valleys below their rocky homes. Khndzoresk can be described as a nearly-vertical multi-story amphitheater of stone. Artifacts and archaeological findings are testimony of human dwelling in this area from ancient times. From ancient times people lived in pyramids, digging artificial apartments and serving premises. In the history people of Syunik and Khndzoresk were considered to be the bravest and unbreakable. Khndzoresk and its governor proud Meliks never betrayed their country. The role of this village became more important in 1722-1730 during Syunik national lib movement with its natural inaccessible position. 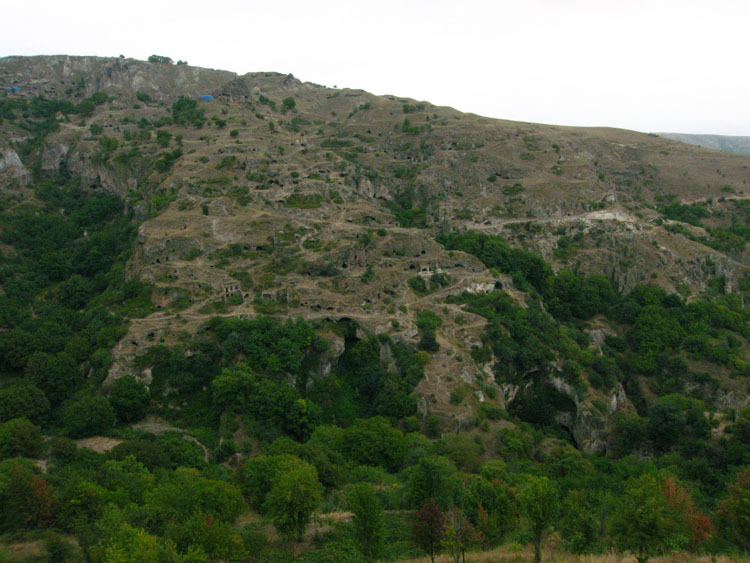 Khndzoresk was the citadel of Syunik at that time.